In a large bowl, whisk together sour cream, oil, eggs and vanilla. Add in sugar until combined completely. Add flours, baking powder, baking soda, and salt and stir until combined. Carefully stir in berries. Spoon 1 tablespoon of batter into the bottom of each liner, spreading it out to cover the bottom completely. Top with 1 teaspoon of jam and cover with remaining batter (about one heaping tablespoon per muffin cup), covering the jam with the batter. Bake for 23-25 minutes, until light golden brown, toothpick comes out clean and batter around berries appears cooked. Cool to room temperature and serve. 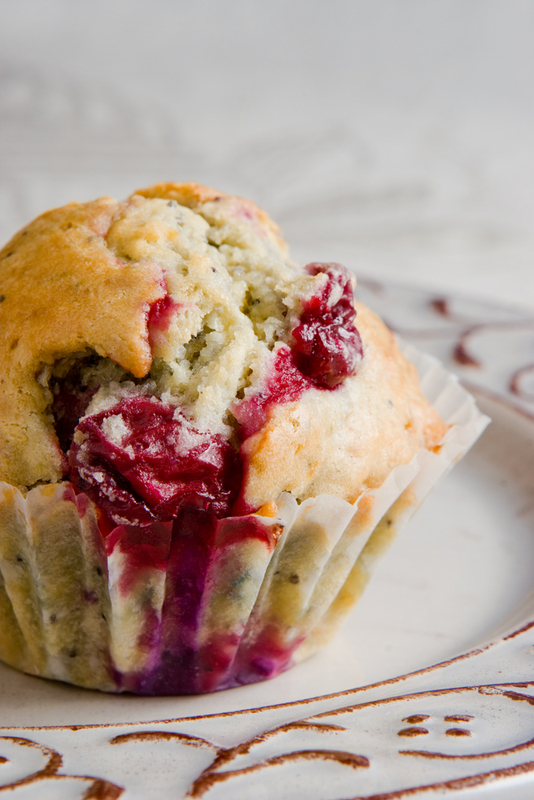 Muffins can be stored at room temperature for 2-3 days or frozen for 3-4 months.